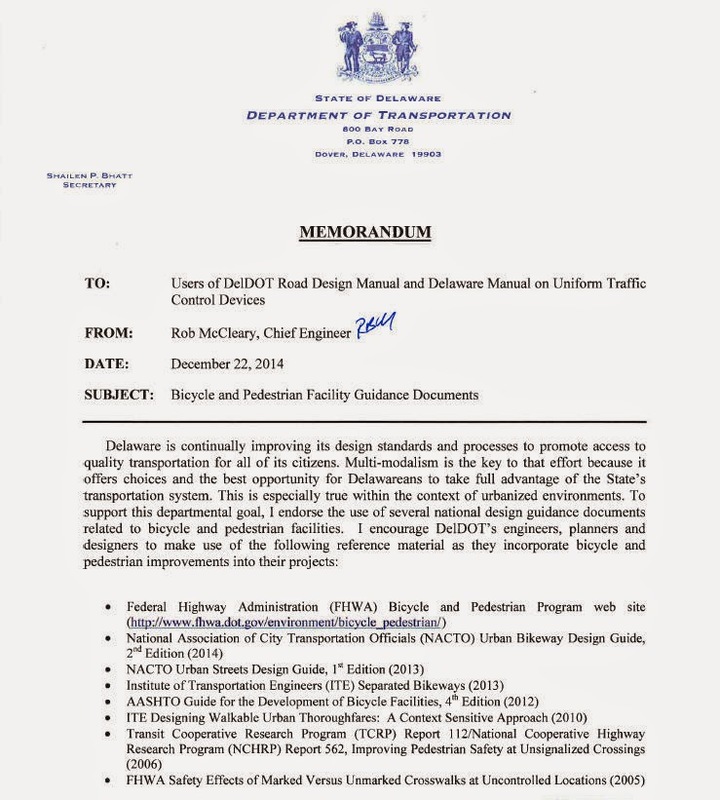 The Delaware Department of Transportation (DelDOT) has become the seventh State DOT to officially endorse NACTO’s Urban Street Design Guide, a blueprint for designing safe, sustainable and multi-modal urban streets. The endorsement, which follows similar actions by Tennessee, Washington, Massachusetts, California, Utah, and Minnesota, has the potential to re-shape 2015 and beyond. It is the perfect New Years gift to an exhausted group of Delaware advocates, who have been pushing DelDOT for decades to venture outside the box when it comes to planning and design. According to DelDOT, their goal is to provide a safe and efficient transportation network for all road users. One look at their website confirms this statement, and we applaud them for this landmark decision. 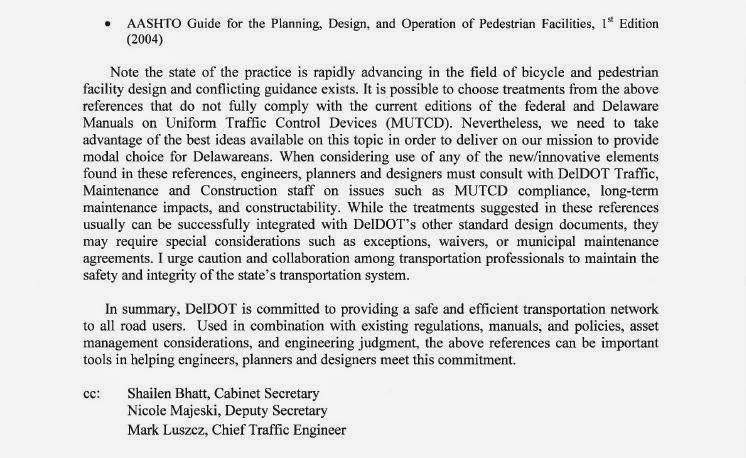 But it will still be up to advocates, bicyclists, and ordinary citizens alike to remind DelDOT about the USDG with each construction and maintenance project. In the words of Amy Wilburn, Delaware Bicycle Council Chair: "Now we need to encourage folks to use all the tools in the toolbox". The USDG is a valuable resource that offers cost effective solutions and improvements that Delaware can embrace and implement. We encourage our readers to click on the above links, and find out what NACTO is all about. 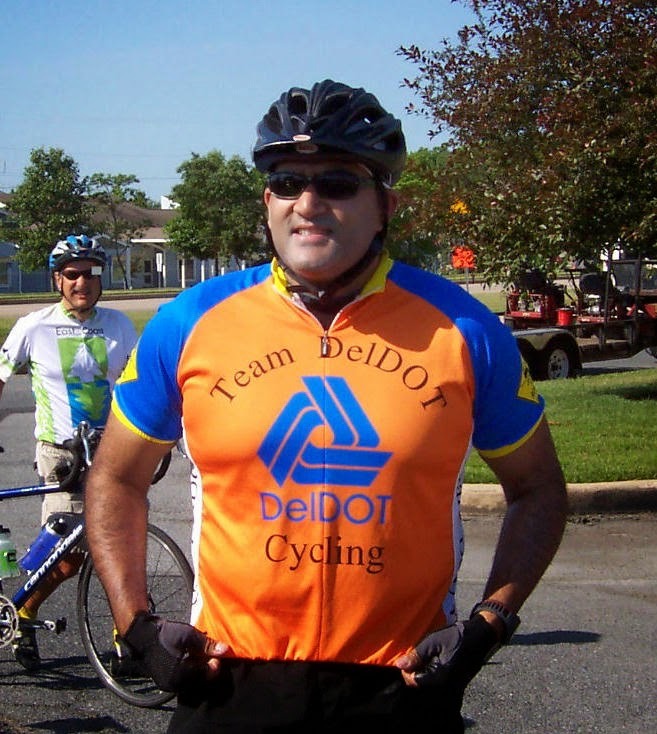 One thing is for certain; to reach the goal of having a first rate multi-modal transportation system, DelDOT should now expand the options they offer non-motorized road users. Engineers and Planners can enjoy a shared vision with the State's various advocacy organizations, including those committed to on-road infrastructure and safety. We send our sincerest thanks to DelDOT, and everyone else involved who had a direct hand in this endorsement! Look forward to working with DelDOT in 2015. Thanks to all who helped to make this happen. Your tireless efforts are greatly appreciated.